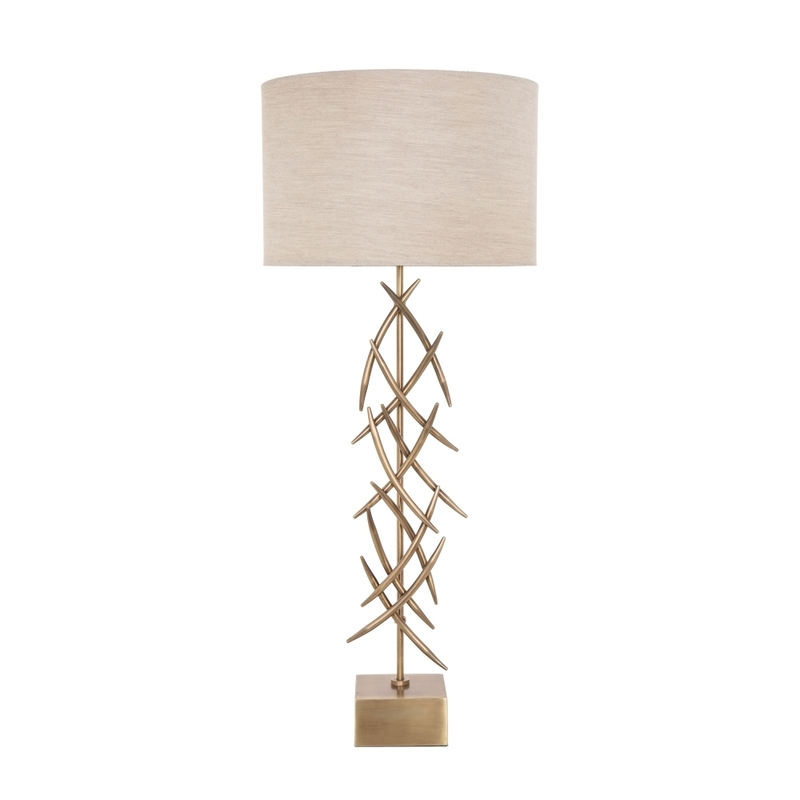 Stand out with the statement Arleta table lamp from RV Astley. The glamorous gold finish of the exquisite base is a show stopping masterpiece. The elegant criss cross pattern of the base extends upwards to reveal a circular drum cotton shade whose neutral tones perfectly complement the elaborate base shape. Owing to the tall and narrow dimensions the lamp could be styled either as a table or floor lamp. Illuminate a dark, narrow hallway with the Arleta table lamp adding a dramatic impact to your entrance. Style in the living room for a striking focal point.